While we may see some further weakness in the short term the 7 charts on gold and 1 each on silver, platinum and palladium below suggest that the outlook is good for 2014 and the coming years. 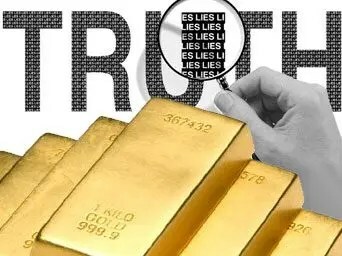 So says Mark O’Byrne (goldcore.com) in edited excerpts from his original article* entitled 7 key gold charts: “Bull market ahead”. Sentiment is as bad as we have seen it in the precious metals market. As the charts show, such sentiment, price action and oversold conditions tend to coincide with major lows in gold and silver prices and multi-month price gains. Very poor sentiment towards gold and oversold conditions is reminiscent of the conditions seen in late 2008 and January 2009 [as seen in the chart below] when gold prices had fallen by more than 25% in 9 months. Subsequently, gold rose from a low on January 15, 2009 at $802.60/oz to a high less than 12 months later at $1,215/oz for a gain of over 50%. A similar move today would see gold above $1,800/oz by year end. We believe similar gains may be seen in the coming months and years. Investors should position themselves accordingly. 15. What’s the Difference Between 1 Gold Karat, 1 Diamond Carat and 1 Troy Ounce? 17. Should You Invest In Gold or Silver, Neither or Both? 23. Noonan: Is Gold’s Decline Being Caused By Fed Payback Time to China?